We use Anti-All Deodorizer as part of the carpet odor removal process, so you can rest easy knowing that bad odors are gone and your carpet is sanitized in Winston-Salem. 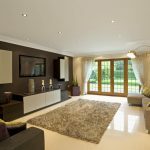 While your carpets can certainly make your home more comfortable, they can also become a sponge when it comes to pet stains, heavy traffic, and other indoor/outdoor debris that comes through your home. 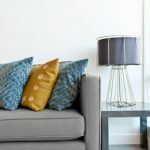 If you’ve determined that you have a smelly carpet in one or more areas of your home, you may find that topical deodorizers only provide a temporary solution. 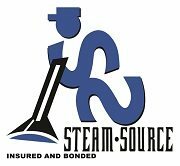 At Steam Source, we know that carpet odor removal can present some challenges, but we are up for the job because we have just the products and equipment you need. When you call on us for carpet odor removal, we do several things to eliminate the problem for the long-term. First, we’ll determine if there is a specific cause for the bad smells, like a pet accident, for example. We’ll then apply the proper solution to remove the stains that are likely the culprit. Additionally, we’ll apply Anti-All Deodorizer, which is a professional-strength, non-corrosive disinfectant. Anti-All Deodorizer is highly effective against a broad spectrum of bacteria, viruses, and fungi. 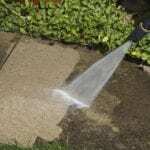 It also inhibits the growth of mold and mildew and easily handles tough odors. Whether you need carpet odor removal due to pet urine, sewage damage, or even perspiration, this amazing product won’t disappoint. When we use Anti-All Deodorizer as part of the carpet odor removal process, you can rest easy knowing that bad odors are gone and your carpet is sanitized for the most effective clean. The products we use at Steam Source are always pet and eco-friendly, and we know you’ll see great results when you rely on us for all your home cleaning requirements in Winston-Salem, North Carolina. Contact us today to get started! At Steam Source, we offer carpet odor removal services in Winston-Salem, Greensboro, Kernersville, Clemmons, Advance, High Point, Mocksville, Pfafftown, Jamestown, Oak Ridge, Summerfield, Lexington, King, Walkertown, Colfax, Lewisville, Welcome, Bermuda Run, Thomasville, Yadkinville, and Walnut Cove, North Carolina.